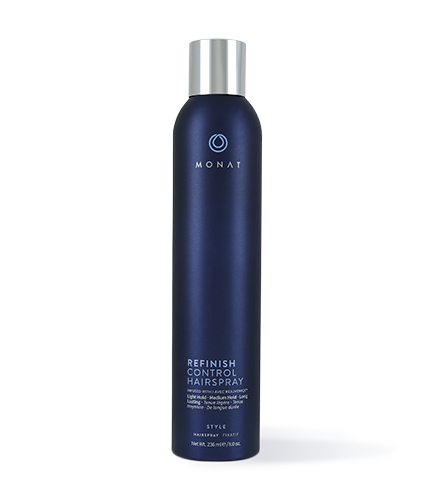 To learn more about Refinish Control Hairspray, please contact your MONAT Market Partner. Infused with REJUVENIQE®, REFINISH is a strong yet flexible finishing spray that provides texture, volume, natural shine and long lasting touchable support. Humidity resistant and easy to brush through leaving no sticky residue or buildup even after re-spraying. To Finish: Hold 8 to 12 inches (20-30 cm) from hair. To Create Volume: Spray in quick bursts while blow drying. 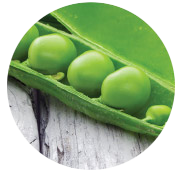 MONAT’s own proprietary blend of unique oils containing essential powerfully active botanical ingredients. 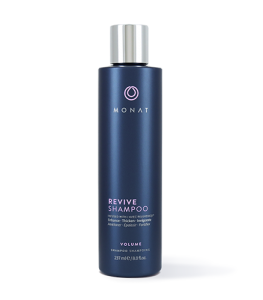 Helps to protect the scalp, strengthen and thicken hair whilst supporting natural growth. Helps maintain healthy levels of antioxidants in follicles to help combat premature thinning whilst protecting colour and shine. UV absorber that helps protect hair from sun damage. Alcohol Denat., Tetrafluoropropene, Aqua, Polyurethane-14, AMP-Acrylates Copolymer, Octylacrylamide/Acrylates/Butylaminoethyl Methacrylate Copolymer, Trifolium Pratense (Clover) Flower Extract, Pisum Sativum (Pea) Extract, Limnanthes Alba (Meadowfoam) Seed Oil, Crambe Abyssinica Seed Oil, Camellia Oleifera Seed Oil, Solanum Lycopersicum (Tomato) Seed Oil, Daucus Carota Sativa (Carrot) Seed Oil, Citrus Medica Limonum (Lemon) Peel Oil, Citrus Aurantifolia (Lime) Oil, Citrus Aurantium Bergamia (Bergamot) Fruit Oil, Adansonia Digitata Oil, Mauritia Flexuosa Fruit Oil, Cocos Nucifera (Coconut) Oil, Gardenia Tahitensis Flower Extract, Moringa Oleifera Seed Oil, Caryocar Brasiliense Fruit Oil, Helianthus Annuus (Sunflower) Seed Oil, Glycerin, Acetyl Tetrapeptide-3, Cinnamidopropyltrimonium Chloride, Dextran, Propanediol, Triethyl Citrate, Fragrance (Parfum), Butylene Glycol.